This pale russet-brown little toadstool is hygrophanous and becomes more ochraceous as it dries out. What differentiates it from several similar Tubaria species is its finely scaly cap and the persistent fleecy white scales at the margin. Tubaria conspersa is fairly common and widespread throughout Britain and Ireland. The Felted Twiglet occurs also in most parts of northern and central mainland Europe. 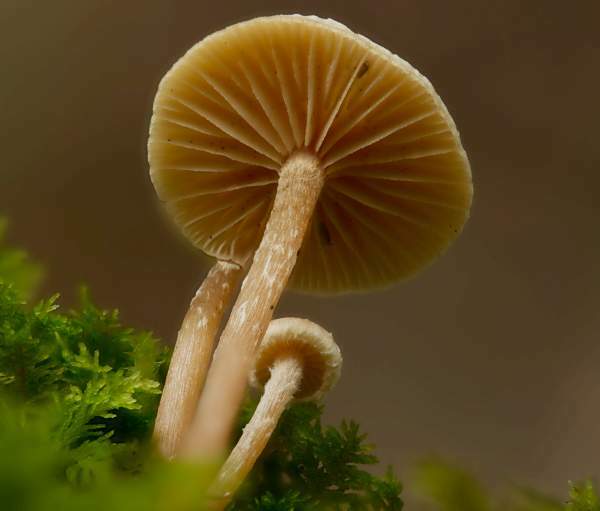 In 1800 Christiaan Hendrik Persoon described this little mushroom and gave it the scientific name Agaricus conspersus (at a time when gilled fungi were generally placed into the genus Agaricus, since largely redistributed across many other newer genera). 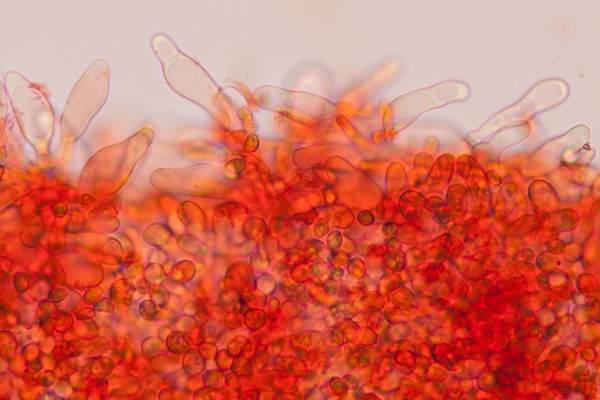 It was Swiss mycologist Victor Fayod (1860 - 1900) who, in 1889, transferred this species to its present genus, thereby establishing its currently-accepted scientific name as Tubaria conspersa. Synonyms of Tubaria conspersa include Agaricus conspersus Pers., Naucoria conspersa (Pers.) P. 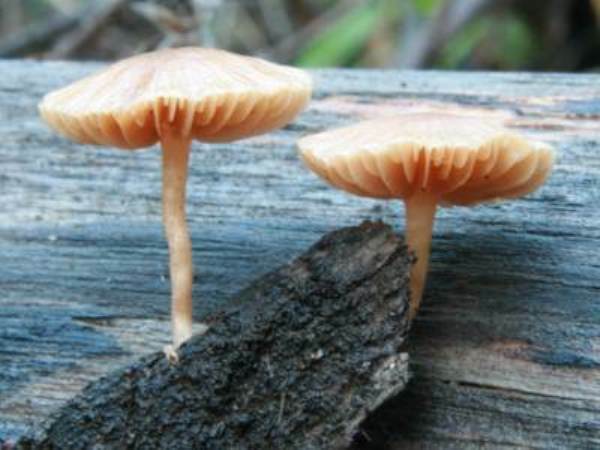 Kumm., and Inocybe conspersa (Pers.) Roze. 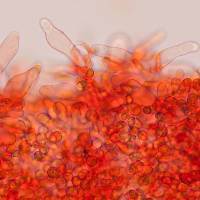 Tubaria is a small genus of about 20 species worldwide. The genus name may refer to a pipeline or connection. The specific epithet conspersa is derived from the Latin adjective conspersus or consparsus meaning sprinkled, scattered or strewn - a reference to the common sight of scattered groups of these twiglet toadstools. The cap, initially convex and then flattened, 0.8 - 2.2cm in diameter, is minutely scaly with velar remnants, which also hang from its margin ragged. When young and fresh the caps are pinkish to russet brown but, being hygrophanous, they turn more ochraceous with age or in prolonged dry weather. 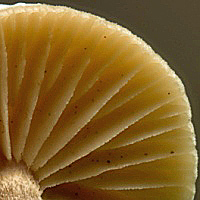 The distant gills, which are much the same colour as the cap, are adnate or slightly decurrent. 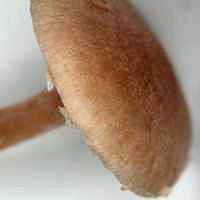 Stems are cylindrical, 3-5cm long and 2-3mm in diameter, scaly when young but becoming smoother as they age; stem colour is as the cap, and the stem flesh is pale brown. There is no stem ring. 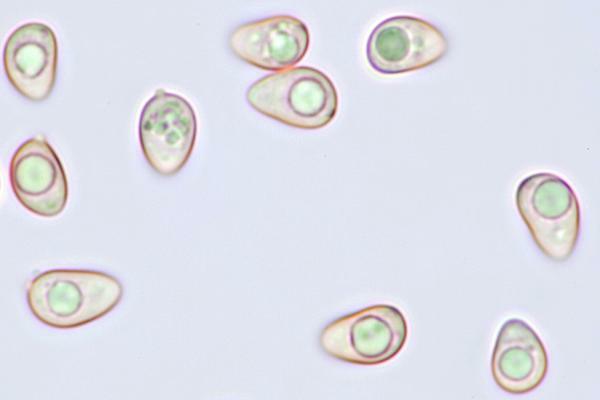 Cheilocystidia (on gill edges) and pleurocystidia (on gill faces) are narrowly cylindrical and up to 72 µm long. Ellipsoidal, smooth, 7-10 x 4-6µm. In leaf litter beneath deciduous trees and bushes or on well-rotted hard wood; also on wood chip used as a mulch in parks and gardens. 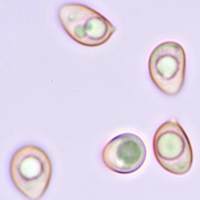 Tubaria dispersa has a smoother cap, smaller spores, and is always associated with Hawthorn trees and bushes. 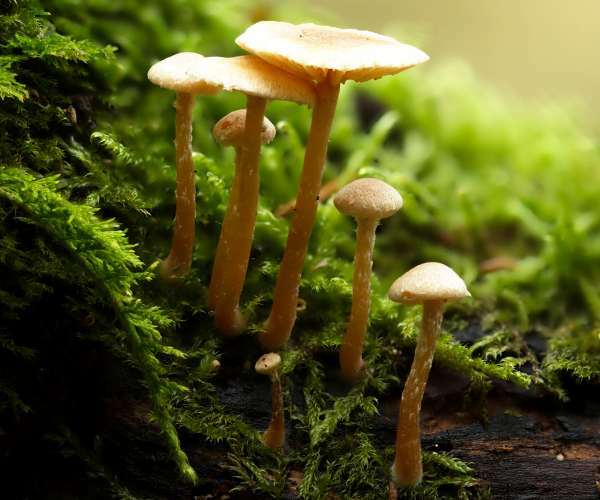 This little mushroom is generally considered inedible.